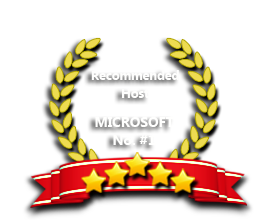 ASPHostPortal is the leading provider of Windows hosting and affordable Joomla 3.9.3 Hosting. Our price starts from $4.49 per month. Joomla 3.9.3 Hosting from ASPHostPortal.com provides a safe, reliable and performance-driven foundation for your Joomla website. Joomla is an award-winning content management system (CMS), which enables you to build Web sites and powerful online applications. Joomla is designed to be easy to install and set up even if you're not an advanced user. Joomla is the most popular open source CMS currently available as evidenced by a vibrant and growing community of friendly users and talented developers. With our powerful control panel, you can always administer most of your site features easily without even needing to contact for our Support Team. Additionally, you can also install more than 100 FREE applications directly via our Control Panel in 1 minute! Given the scale of our environment, we have recruited and developed some of the best talent in the hosting technology that you are using. Our team is strong because of the experience and talents of the individuals who make up ASPHostPortal.com. Our company is privately owned and financially secure, serving clients all over the world. We maintain aggressive pricing for all our products and services. Our prices have consistently remained below the market average. Our Windows Cloud Hosting fully supports Joomla 3.9.3 hosting. You are more than welcome to try our Free Windows Cloud Hosting before you decide to buy. You can get your Free Cloud Windows hosting account up and running within the next few minutes.